In its early days, social media held promise as a great equaliser. But in practice, only the voices of those who have enough time, freedom, education and social resources are widely heard – such as the 26-year-old vlogger behind Nas Daily, says Dina Rezk in a new post for The Conversation. 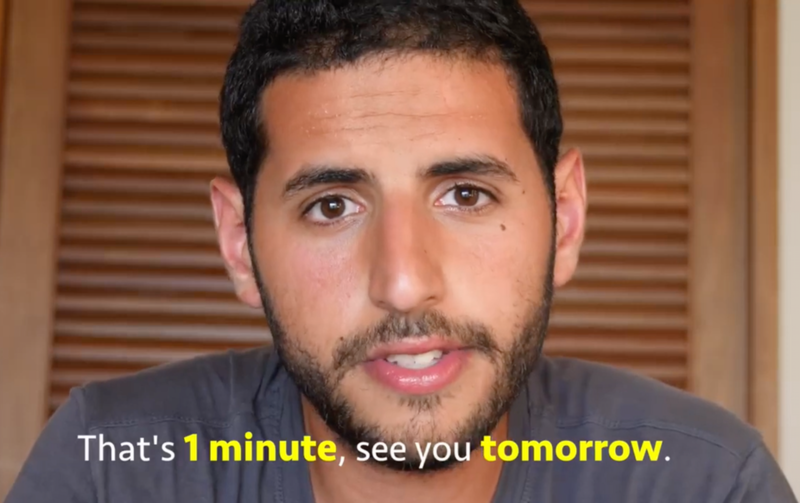 Every day for 1,000 days, 26-year-old Palestinian vlogger Nuseir Yassin published a “one-minute video” on his popular Facebook channel, Nas Daily, sharing his ideas with 11m followers as he traversed the globe. Now the project has come to an end, his success seems to show how social media can provide a platform for ordinary people – a tribute to the rise of citizen journalism over the past decade. This privilege has a direct impact on Yassin’s take on one of the most personal and controversial political issues he addresses in his videos: the Arab-Israeli conflict. His basic message regarding this issue, is that both sides of the Arab-Israeli conflict are to blame and that people need to“move on”. He says: “I can name a hundred things we as Palestinians (and Arabs like in Egypt and Jordan) did wrong in the past 70 years, and the same goes to Israel.” This equalising headline overlooks decades of illegal Israeli occupation and the fundamentally asymmetric power dynamic between Israel and Palestine. At its inception, social media – like other digital platforms – seemed to promise to act as an equaliser. But in practice, it’s primarily those like Yassin who have the time, freedom of movement, educational capital and social resources to speak to a global audience. This post first appeared on The Conversation, 4 January 2019. Dina Rezk is Lecturer in Middle Eastern History at the University of Reading. Her work focuses on the history of the Middle East over the past two centuries, including the Arab Spring and other 21st century upheavals in the region. Dr Rezk’s research findings have led her to provide policy briefings to the UK Cabinet Office, Home Office, Ministry of Defence, Nato, and the US Department of Defense. She leads the research project ‘Social listening in the past, present and future‘.